The 2016 NFL season’s first two weeks are in the books, which means it’s time to look at Week 3’s picks against the spread. Early Sunday afternoon, we have a cross-conference matchup between the Arizona Cardinals and Buffalo Bills. Who has the best odds in this one? 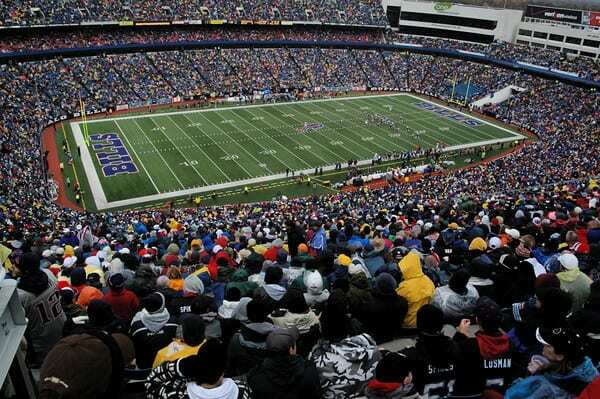 Location: New Era Stadium; Orchard Park, N.Y.
AFC-NFC matchups are always tough to call. Generally, they require one team to travel a long distance, and the teams aren’t very familiar with each other given they only play once every four years if they don’t meet in the preseason or Super Bowl. In this case, the Cardinals and Bills haven’t played since Oct. 14, 2012 — a 19-16 loss in overtime in Arizona. Of course, that year the Cardinals went just 5-11 with a combination of Brian Hoyer, Ryan Lindley, Kevin Kolb and John Skelton at quarterback while the Bills went 6-10 and still had Ryan Fitzpatrick. So far in 2016, the Cardinals have gotten off to an relatively expected start, losing Week 1 to the New England Patriots by just two points and then blowing out the Tampa Bay Buccaneers 40-7. Sounds about right. Buffalo, however, is pretty much in disarray. They managed only seven points in a 13-7 borefest against the Baltimore Ravens. In Week 2, they were able to score 31, but gave up 37 to the New York Jets. For the Bills, if it’s not one thing, then it’s the other. Right now, this team just isn’t very talented and is missing key players on defense like Marcell Dareus, Shaq Lawson and Reggie Ragland to suspension or injury. Things aren’t look good for the Bills, and they look even worse with one of the NFL’s best teams coming to town Sunday. The only factors going Buffalo’s way is that they’re at home — over 2,200 miles and two time zones to the east away from Glendale, Ari. (since it’s a 1:oo p.m. game, it’ll feel like only 11 a.m. to the Cardinals) — and … well, that’s about it actually. Bruce Arians is a great head coach, though, and should have his guys prepared for the trip and time change. I wouldn’t expect it to affect veterans like Carson Palmer and Larry Fitzgerald anyway, and those two should have their way with a Bills defense that’s given up nearly 600 yards through the air in only two games. Meanwhile, the Cardinals defense shouldn’t struggle much against this Bills offense. Tyrod Taylor hasn’t looked too impressive so far this season other than a couple of nice throws against the Jets, and the running game won’t be much of a factor if it ends up being a blowout. Bets to Make: lay the points the Cardinals. They’re a great football team, and the Bills simply aren’t. Also, take the under; the scoring should be rather lopsided in this one.